Thank you for choosing B and B Used Auto Parts for your late model used car, truck, van and SUV parts! We have been a family owned and operated full service auto salvage yard since 1978. B and B is conveniently located in North Carolina’s largest city of Charlotte and serves the entire NC, SC and VA region as well as the entire US via nationwide shipping. Brothers Tommy and Andy Barringer established B and B in its current location over 35 years ago bringing with them years of automotive knowledge and experience gained from growing up and working in their father’s successful body shop facility in Charlotte. Andy and Tommy are very active in the day to day operations and have built an outstanding team of used auto parts professionals that are dedicated to serving B and B customers including bringing the next generation of Barringers on board by adding Andy's son Brad to the staff. We invite you to browse our Website and learn why we are considered to be one of the top auto salvage yards in NC for quality parts selection and customer service. Thank you for your business! At B and B Used Auto Parts we pride ourselves on having some of the most experienced, thorough and friendly sales representatives in the auto salvage industry. With decades of used auto parts sales experience, they understand what it takes to please you… our valued customer! 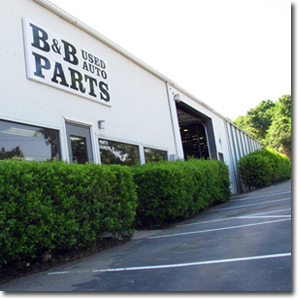 B and B Used Auto Parts is conveniently located in Charlotte, North Carolina’s largest city! 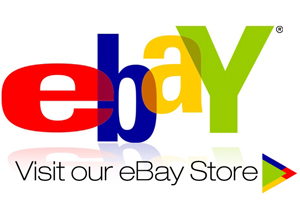 Our convenient location allows quick and easy access to your used parts purchases. Our daily local and regional delivery service to wholesale accounts spans 75-100 miles around the Charlotte area, covering most of the major cities in North Carolina. An often overlooked aspect of buying used auto parts is the importance of the support staff that dismantles and evaluates your used auto parts for quality and dependability “before” the purchase. At B and B Used Auto Parts we understand that our support team plays a critical role in our success and therefore we employ only experienced auto professionals to fill those key positions. One of the biggest contributing factors in B and B’s success is our decades of experience in the automotive industry. With over 35 years in their current location and roots in the auto repair industry dating back to their father’s auto body shop, the Barringer family understands what customers need and expect from a used auto parts provider! B and B Used Auto Parts is a full service auto salvage yard located in Charlotte, NC. B and B Used Auto Parts locally serves most of NC, parts of SC & VA as well as the entire US via nationwide shipping including: Charlotte, Mecklenburg County, Greensboro, Winston Salem, Asheboro, Salisbury, Mooresville, Kannapolis, Concord, China Grove, Lincolnton, Gastonia, Huntersville, Cornelius, High Point, Siler City, Indian Trail, Mount Holly, Rock Hill, Kings Mountain, Lancaster, Rockingham, Spartanburg and other surrounding areas. B and B stocks thousands of late model used parts for cars, trucks, vans and SUVs including: Engines, Transmissions, Axles, Rear Ends, Starters, Alternators, A/C Compressors, Radiators, Wheels, Tires, Auto Body Parts including: Front Ends, Hoods, Fenders, Grilles, Front Bumpers, Headlights, Doors, Taillights, Rear Bumpers, Deck Lids, Interior Parts and almost any used part on a salvage vehicle. B and B Used Auto Parts Charlotte, NC Company Tour.